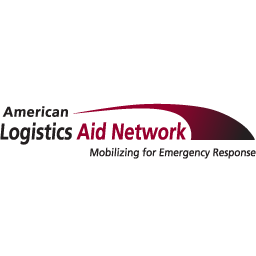 The American Logistics Aid Network (ALAN) is tracking Hurricane Matthew a little further east, with potential landfall between Georgia and North Carolina. However, tropical storm force winds and rain extend outward from the storm and will possibly affect the entire East Coast. Please note that this hurricane has shown itself to be unpredictable in intensity and track. Follow official reporting from the National Hurricane Center for the current forecast. Businesses along the East Coast should ensure their employees and assets are prepared for this event. Information from state and federal emergency management organizations is available in a variety of formats, including recurring situational briefings and online portals. One just-in-time resource to share preparedness messaging with your employees can be found here. ALAN has been in contact with emergency management and non-profit partners regarding their response. There are planned cargo shipments to Haiti, Jamaica, and Cuba, and ALAN is seeking donations of transportation to and warehouse space near Miami and New York (JFK). If you are able to donate space and/or transportation please contact Kathy Fulton; or submit your offer here. On the West Coast there is a need for 2,500 square feet of space in Bakersfield, Calif., for 2-3 months. Please contact Kathy Fulton; or submit your offer here. ALAN anticipates need for warehouse space, transportation, and material handling equipment depending on the storms impact on the U.S. East Coast. These requests may take several days to a week to surface as damage assessments are completed and local resources are exhausted. As requests are received they will be shared via this forum and on the ALAN logistics map.